If you want a real boost in your rankings you absolutely NEED high PR back-links. Low quality links will get your site penalized! * Service based on the latest Google updates. * 100% White Hat and Manual work. * Natural mix of no and do-follow, anchored, and brand links. * Many of them Angela style contextual links, some .edu, gov, Profile etc. * More authority and rankings for your website, YouTube video or Social sites. * In many cases it may bring targeted traffic. * Full report with usernames & passwords to control these links! We accept personal sites, commercial, video such as youtube and vimeo, and others. What i need from you to get started ? 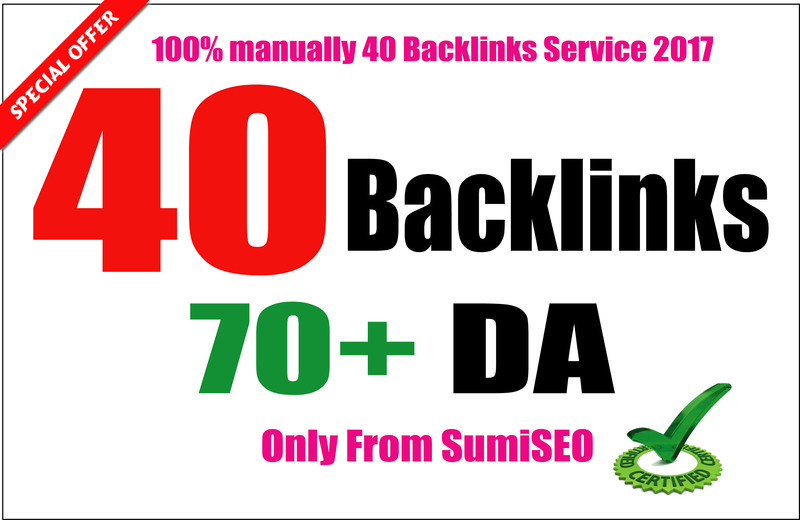 I will manually create 40 Backlinks From Da 70 to 100, Skyrocket Your Ranking is ranked 5 out of 5. Based on 10 user reviews.